Ceramics | get back, lauretta! Every church, chapel, and town in Italy has a crèche scene. Sometimes an entity can have multiple crèche scenes. They are always fun to examine. What a lovely small city is Verona. I understand why Shakespeare chose it as his setting for Romeo and Juliet! I had the good fortune to spend a few days in Verona recently and the city was all decked out for Christmas. To begin, here is our home away from home, with a beautiful terrace next to the Adige River. A large persimmon (cachi in Italiano) tree attracted many local ucelli! I love a decorative octopus! Check out the foot still attached to this prosciutto! OMG! The apron front of the facade reminded me of church architecture in Lucca. The altar below is painted and has matching sculptures in front. I’d never seen anything like this before. The altar below beckons from across the church. Such lavish gold, again, I’ve never seen anything quite like this and I’ve seen a lot of altars in my day. I love that Italy is always surprising me. The ubiquitous December creche scene: the figure of the baby Jesus will not appear until midnight of the 25th. I guess the placard below is for those sinners who don’t remember or know how to confess. These pictures are from the interior of the duomo in Verona. It is a beautiful church. Verona was obviously a wealthy city during the Renaissance and after, as it still is today. I’ve looked at a lot of paintings in my day, but I’ve never seen such a foreshortened putto flying in from this angle, to crown with laurel the knight in armor. While this sculpted doorway below looks to be monumental, it was actually at my eye level on a wall in the duomo, and measured about 12 inches tall. Back out in the lovely streets of Verona, I admired this art nouveau wrought iron in a window. It’s unusual for Italy and I love it. Below is the gorgeous facade of the duomo. There are Roman ruins on the hillsides in Verona. I took this picture to remind me of this new (to me) fact: I want to go back and see more of the town. The facade below is getting some TLC. Walking along on the sidewalk along a wall, there are death notices posted. I find these fascinating. I am obsessed with this crystal lamp with the red tassels. Obsessed. Finally, the end. A shout out to my girl, Jenny, for being an awesome traveling companion. More to come, I am sure! Oh, and p.s., I have a few more Verona posts coming, including Giardino Giusti. Watch this space! The 24th ARTIGIANATO E PALAZZO exhibition (Florence, Corsini Gardens, May 17-20, 2018) gets underway with the history of one of the leading examples of Made in Italy excellence, the “Mostra Principe” dedicated to the Richard Ginori porcelain Manufactory and fundraising for the reopening of the Doccia Museum, recently acquired by MiBACT (Italian Ministry of Cultural Heritage and Activities and Tourism). 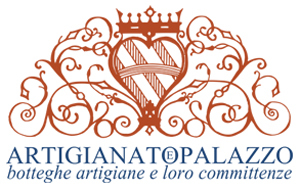 “The hundreds of requests to take part that we have received this year represent an excellent sign of recovery in the artisan sector, because craftspeople are the lifeblood of Made in Italy,” said Giorgiana Corsini and Neri Torrigiani who, for over twenty-four years, have been involved in organizing the ARTIGIANATO E PALAZZO event and in promoting Italy’s artisan heritage. During the four-day event in the Limonaia Piccola of the 17th-century Corsini Gardens (open to the public for this occasion), the Richard Ginori company will recreate various phases in the creative process through which, daily since 1735, it has produced unique porcelain pieces, with special live demonstrations to reveal to the public a story that has survived to the present day with a rich tradition of know-how, innovation and beauty. For the first time, it will be possible to admire outside the plant in Sesto Fiorentino the Manufactory’s artisans at work in their various areas of expertise: from slip casting to decoration, evidence of a wealth of knowledge that has been handed down without interruption from older to younger generations of craftspeople. For its part, the Doccia Museum will be the recipient of the major fundraising initiative, “ARTIGIANATO E PALAZZO FOR THE DOCCIA MUSEUM”that Giorgiana Corsini and Neri Torrigiani have decided to launch with this year’s event “so that the priceless collection of the Doccia Museum will once again be open to the public”. 8,000 porcelain, ceramic, majolica, terracotta and lead objects and over 13,000 drawings, engraved metal plates, chromolithograph stones, plaster molds and wax sculptures. “See Naples and die” are the famous words first spoken by Johann Wolfgang von Goethe in his Italian Journey (1786–88). In this breath-taking episode of the PBS show, Dream of Italy, you will make pizza in Naples, hear why Naples coffee is the best in the world (hint: the expert thinks it has to do with the water and air of Naples), see the famous Neapolitan hand-made creche figures, and have a up close look at the magnificently dangerous Mt. Vesuvius. You’ll learn about American grape stock providing Europe with a unblemished basis for wine production and how to make limoncello from the glorious limone that grow in this blessed region. Today I wandered around the Oltrarno after the hairdresser. Great window-shopping! I like the teapot chandelier below!